Meeting the challenges of continuous change and uncertainty is the day-to-day business of senior management, but new BCSA President Tim Outteridge is becoming a steel construction sector figurehead at a time when an unusually large number of challenges loom. Steel construction has enjoyed a few years of steady growth since the credit crisis and recession, which it came through in good shape. Now leaving the European Union is throwing up new challenges that nobody even imagined having to grapple with until the Brexit referendum a year ago, and that nobody has any experience of dealing with, all to be managed by a newly elected minority government. From Perthshire stock, Tim studied Civil Engineering at St Mary’s in Southampton and has had a 25-year career in civil engineering as well as steel bridge and building construction. He is now International Sales Director at Cleveland Bridge UK, which gives him a vantage point to see how construction sectors work in other countries as well as how international contractors operate. Tim’s career as a subcontractor has focused on steel structures and bridges, and he is passionate about the steelwork sector and its ability to deliver steelwork contracts cost effectively, on time and to the client’s specification. Cleveland Bridge is of course a world recognised brand, one of the UK’s leading bridge builders with a 140-year history of delivering major structures across the globe. 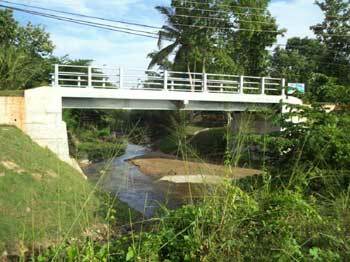 Current exports include contracts for UK designed and fabricated rural bridges to Sri Lanka, all being built at its Darlington Factory. Tim is really proud that a quality British product is competitive and exportable in a very demanding arena. Tim has extensive commercial experience and is a Fellow of the Chartered Institute of Marketing. 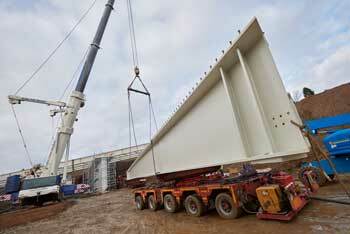 His experience in the structural steelwork sector includes senior positions at Bourne Steel Ltd and Mabey Bridge. 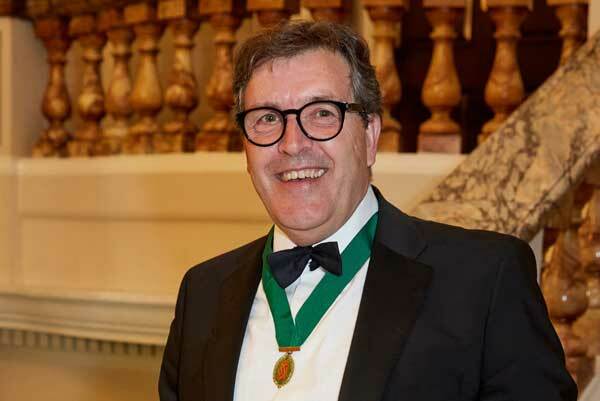 In his role as BCSA’s Deputy President over the past three years Tim supported the implementation of CE marking for the structural steelwork sector, the development of a new apprenticeship framework and the introduction of the BIM Charter while also serving as a member of the Steel Construction Certification Scheme. Tim sits on the UK Metals Council representing the views and interests of the BCSA membership. He wanted overseas experience so in the 1990’s he went to the Middle East and Africa where he freelanced. His re-entry to UK construction came oddly enough, with concrete frame contractors who he enjoyed success in winning work for. Steel frames, he discovered, were similar to concrete frames in the way that they were bid for and his work winning skills caught the attention of Bourne Steel. After a successful period with Bourne Steel his career took him to Belgium for a short spell with steel contractor Victor Buyck until Mabey Bridge made him an offer to return to the UK. He enjoyed great success running Mabey’s UK bridges operation until the company decided to withdraw from UK infrastructure. Cleveland Bridge had been acquired by new owners in 2000. Tim took an opportunity to join Chris Droogan, his managing director at Mabey Bridge, who was now heading up a reinvigorated company that was being supported by its new owners as it strove to re-establish its great name as a force in world markets. Tim notes that the UK infrastructure and international sectors are showing promise and good potential. Tim is confident that Cleveland will win increased market share through providing a good service to its customers and having a positive impact on the communities in which they’re working. Being a Deputy President of the BCSA is a highly rewarding experience, says Tim. “It places you in the front line of reinforcing the use of UK steelwork, and demonstrating to clients and end-users the value in the high standards the industry has set”. Responsible procurement will be a theme of Tim’s Presidency, which means main contractors and clients treating their supply chains properly as well as specialist contractors acknowledging that the customer is king. Tim says: “Main contractors have to acknowledge that the specialist contractors are the experts and innovators and reward them with work continuity and providing a team-wide can-do approach to project delivery”. Driving efficiencies into procurement processes and taking out wasted effort has been a long-term ambition. “The world is changing, the way we trade and do business is also changing, it would be really good to see the construction industry lead the change and drive out the wasted effort and direct it to positive use,” says Tim.